Republicans excoriated it, with Karl Rove professing to being “offended” by it. The White House extolled it as proof-positive that even a dyed-in-the-wool Republican icon supported the federal bailout of Detroit’s carmakers. In effect, Chrysler’s two-minute cinematic Super Bowl advertisement has become a political touchstone for American politics: Whatever your bias, rubbing up against it will leave a visible trace. And according to Clint Eastwood’s longtime agent turned manager Leonard Hirshan, that’s exactly why his client starred in the TV spot. “That’s the problem; everything is political now,” says Hirshan, who tells us that he didn’t see the “Halftime” spot until it aired last night, and insisted that Eastwood agreed to make the spot without even consulting his representative of 50 years because it was “something personal he got involved in” that was neither political nor commercial. The TV spot pointedly made no reference to Chrysler, or its cars, which do not appear in the ad; only a clutch of Chrysler car logos appear at the end. 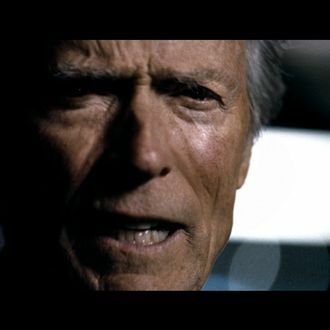 This, Hirshan says, was not an accident; it was, in fact, Eastwood’s doing. That didn’t keep the Internet’s political chat rooms, right-wing talk-radio shows, and cable-news channels from exploding into speculation about whether Eastwood, a longtime Republican, had defected from the GOP or was at least carrying water for the Obama reelection effort. But on Fox News, Rove and many others saw it as just the opposite, arguing that “the President of the United States and his political minions are, in essence, using our tax dollars to buy corporate advertising” — despite the fact that the U.S. government sold off its stake in Chrysler six months ago, long before the ad was produced. Hirshan noted that Eastwood would not be available to comment on the “Halftime” ad, as he was too busy both recruiting celebrities to play in his annual Pebble Beach national pro-am golf tournament (which Eastwood co-owns with Arnold Palmer, among others) and prepping for his role in longtime producer Robert Lorenz’s directorial debut, Trouble with the Curve, a baseball drama that begins shooting next month in Georgia. Has Hirshan discussed the ad’s political fallout with Eastwood?